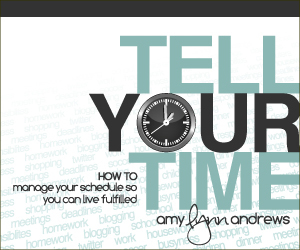 If you missed the sale on the Tell Your Time e-book don't fret. It's still a great deal...$7. So...click on the side link and enter the code InTheClub. I'm implementing her plan and looking forward to making the most of the hours in my day!